Robert R. Weir of Houston, Texas credits his earliest art education to drawing customers at his mother's lunchroom (Wimpy's Grill) in Detroit, Michigan. This was a small place that attracted a broad and diverse group of people (vice presidents to beer truck drivers with a few con men and mobsters thrown in). Observing these varied characters triggered an early interest in human nature and art in the face and human form. Educated formally as an engineer. His work career started in process design and later in management. 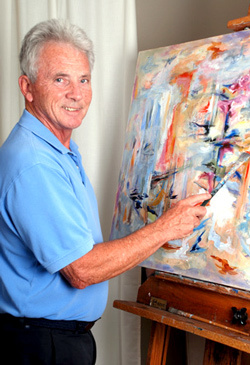 He took early retirement from a major oil company to pursue his interest in art. He studied art at the Art Students League in New York City, the Art League in Houston, and the Glassell School of Art also in Houston.